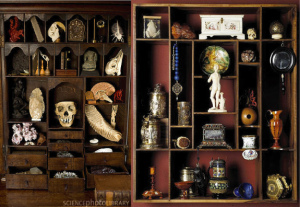 Is STS a bordello or cabinet of wonders? This is based on some ruminations over the last year, which I’ve mentioned a while back casually and which our now full-time blogger Stef Fishel discussed more recently. I’m not convinced that other academic disciplines are any more organized/unified than STS just better established in most institutions, my guess is that just as there are now ethnographers working for tech companies there will be ethnographers (broadly speaking) in STEM departments, perhaps long after sociology/anthropology/poli-sci programs have been erased.